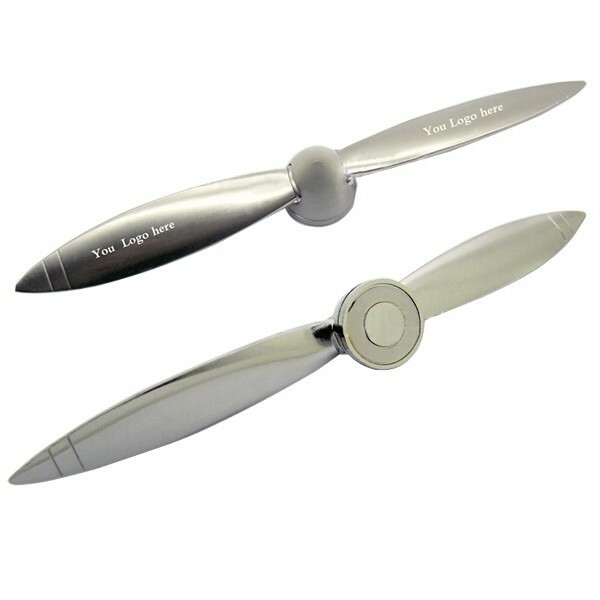 The propeller shaped letter opener is made of zinc alloy, featuring premium texture. It also can be used as paperweight. It is classic giveaway for company promotional events. Customized logo can be laser on both sides for brand exposure. Measuring: 7 2/5" x 7/10".